Learn how a state-of-the-art IT automation software helps you unify the handling of a multi-site IT estate configuration and change management, including hardware and software assets, by automating service desk processes, life cycle management and compliance policies and improving service availability. With the support of an IT automation software, you have more time and resources to focus on strategic decision-making for your IT environment. 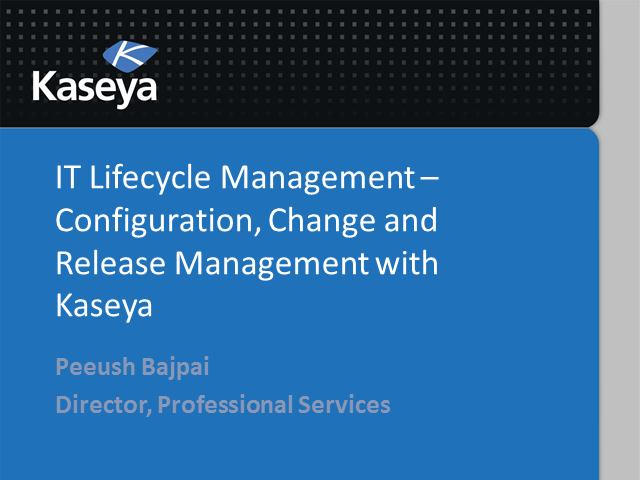 This webinar will help you understand how to deploy a streamlined, end-to-end configuration, change and release management plan, advise you on how to enforce process controls and how best to integrate technology and process.